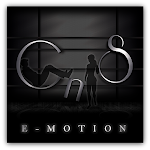 It's this time of the year and CnS e-motion is participating in the most "winter-ish" event around, FROST fashion fair. Depraved nation's FROST has opened its doors today (12.12.12) and lasts till Jan 2nd. It brings together more than 100 designers offering exclusive items at 50% off. Both couple poses you see above are new , exclusive for the event and of course available at half price. Grab the taxi and come check them out! Keep in mind that there is a script limit of 60 in order to reduce lag for everyone so please detach any unnecessary attachments.